That looks rather nice, apart from the glove box/dash top - and the misplaced (SE6a) 3.0 badge. 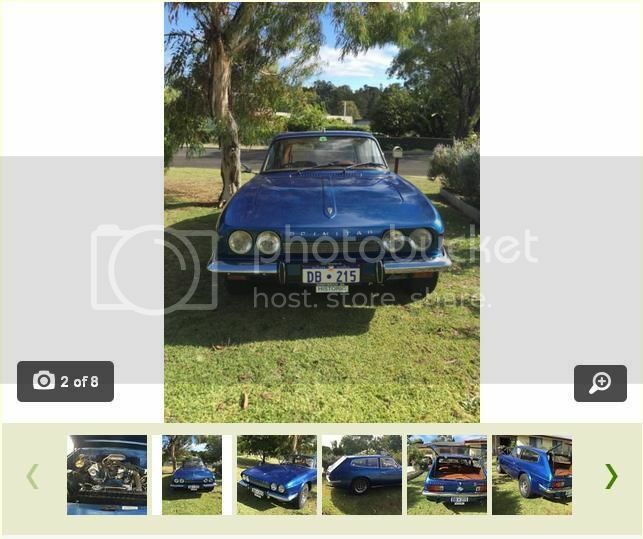 How much would that be worth in Australia? 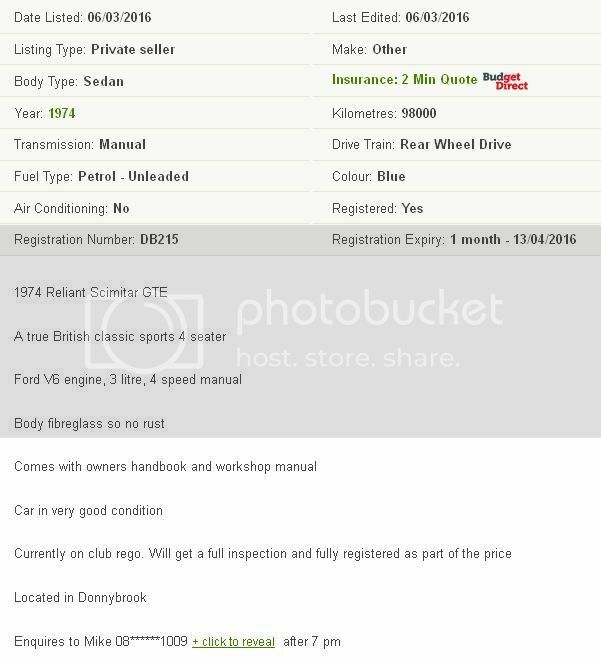 DARK STAR wrote: That looks rather nice, apart from the glove box/dash top - and the misplaced (SE6a) 3.0 badge. What is it from, then, I had 3.0 badges on on mine until I changed to V8 ? That's a Capri/Granada 3.0 badge. Ok, I never said my cars were standard. Strangely, I came across these badges the other day when I was looking for something else. 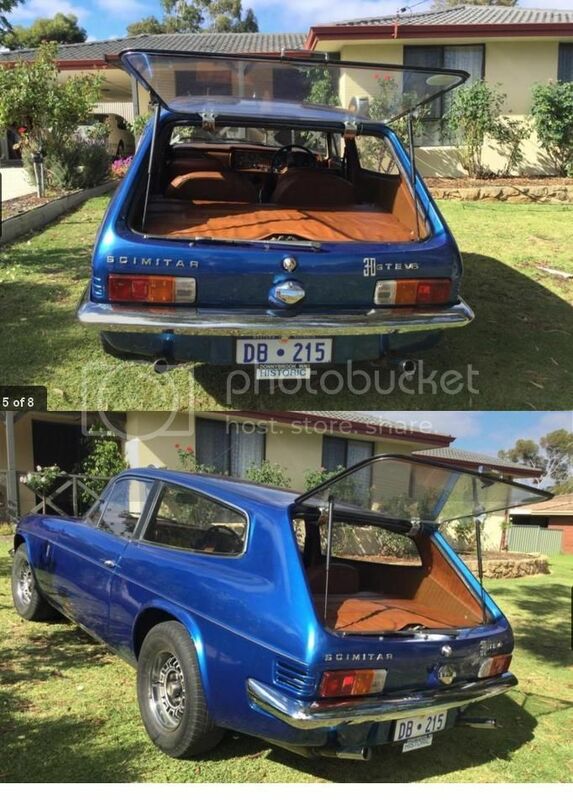 Anyone from Oz recognize their car ?? Just as a matter of interest for anyone who may have been following this thread ...... 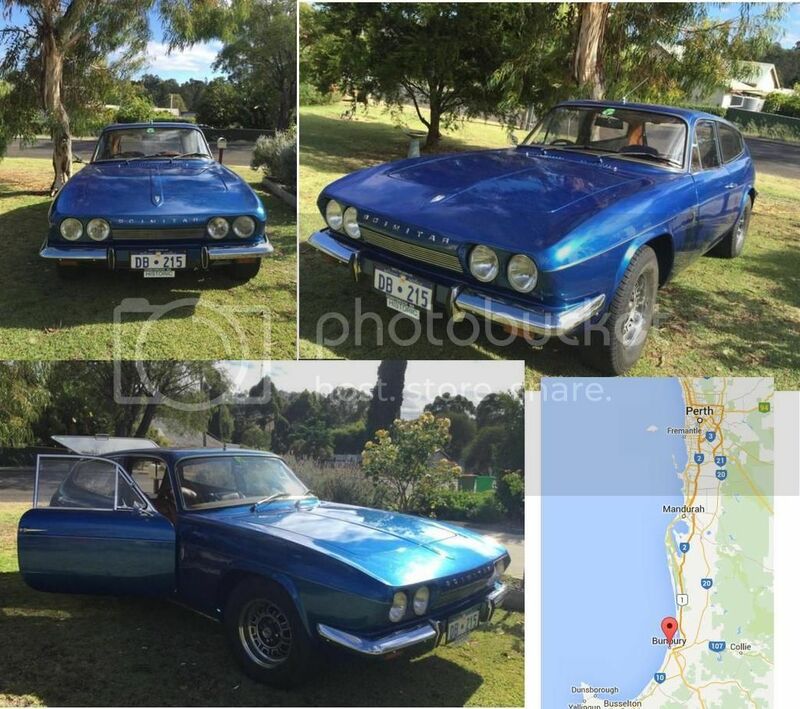 The car sold fairly quickly to Mike Norman, who lives in Bunbury, WA (about 200kms south of Perth). The sale price finished up at $8,500 (about 5,400 Pounds Sterling) which is close to stealing it in my view - but then I'm a bit biased about these things and I'm of the view that Scimitars are vastly undervalued. 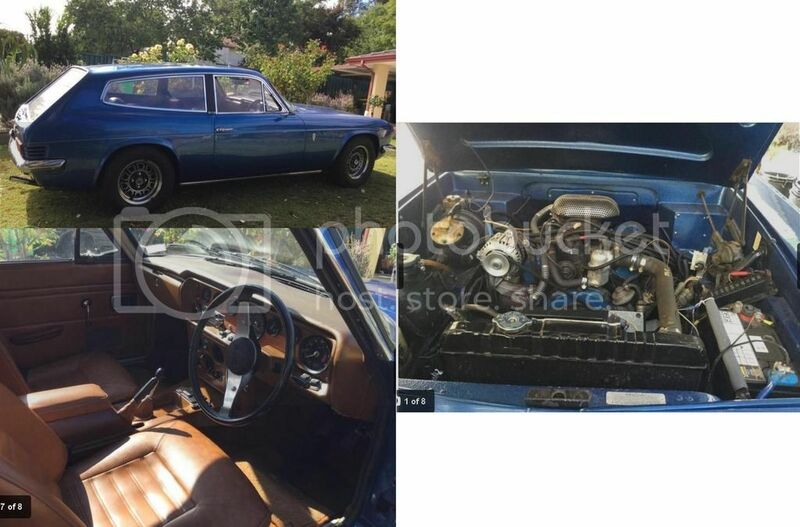 I haven't been able to get down to Bunbury to meet Mike and to view the car, mainly because my wife is afraid that I'll make him an offer that might get accepted, but I am hoping to take a road trip sometime in the next few months.